Sydney is known for nightlife, trails, beaches, parks, and museums. 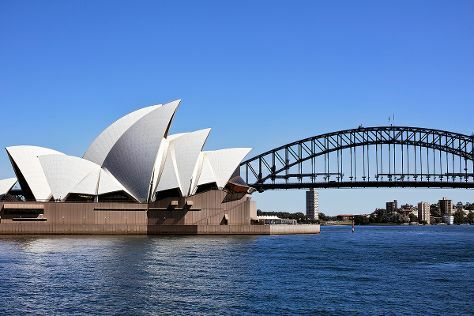 Your plan includes some of its best attractions: see a show at Sydney Opera House, don't miss a visit to Sydney Harbour Bridge, kick back and relax at Manly Beach, and take in nature's colorful creations at Royal Botanic Garden Sydney. To find traveler tips, other places to visit, and other tourist information, read our Sydney day trip website . Use the Route module to find suitable travel options from your home destination to Sydney. Expect a daytime high around 26°C in April, and nighttime lows around 17°C. Cap off your sightseeing on the 21st (Sun) early enough to go by car to Canberra. 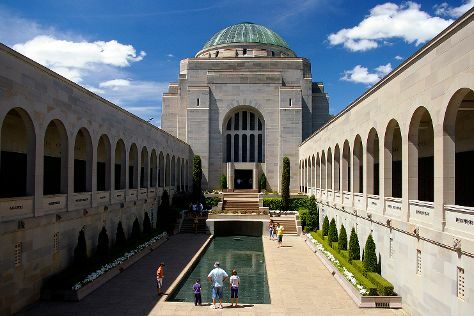 On the 22nd (Mon), get engrossed in the history at Australian War Memorial, then contemplate the waterfront views at Lake Burley Griffin, then admire the masterpieces at National Gallery of Australia, and finally ponder the world of politics at Parliament of Australia. To see more things to do, traveler tips, and more tourist information, you can read our Canberra road trip website . Getting from Sydney to Canberra by car takes about 3.5 hours. Other options: fly; or take a bus. Traveling from Sydney in April, plan for slightly colder nights in Canberra, with lows around 7°C. Cap off your sightseeing on the 22nd (Mon) early enough to go by car back home.